To understand Eddie Levert, you can start with the journey of the O’Jays and keep going because there is much more. 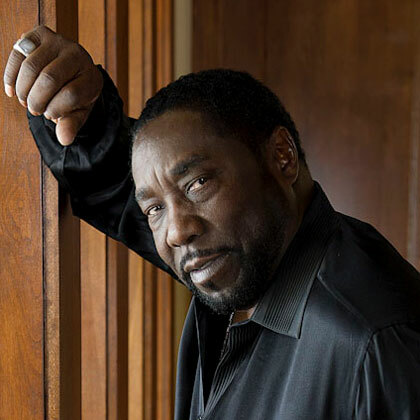 Eddie Levert was born June 16, 1942 in Bessemer, Alabama. At the age of 6 Eddie moved to Canton, Ohio where he attended church regularly and joined the church choir and began his musical journey. As Eddie continued singing into his teenage years he became a recognized voice in the church choir, sang in school plays and performed regularly on a gospel radio show. By the time he reached high school, young Eddie Levert knew that singing was what he wanted to do, teaming up with classmates Walter Williams, William Powell, Bobby Massey and Bill Isles to form a group called the Triumps. The Triumps played locally in Canton opening for different acts, playing sock hops and just about everything that came up. Their big break came when The Triumphs traveled to Cincinnati to canvas King Records. King Records President Sid Nathan, immediately impressed, changed their name to The Mascots and signed them to his label. The Mascots͛ popularity grew as their songs could be heard with increased frequency on Cleveland radio stations. In 1969, The O ͛Jays signed with Philadelphia International Records where they released hit after hit and were propelled to stardom. The O’Jays later signed with EMI-Manhattan Records and Levert and Williams began co-writing and producing their own tracks. Their EMI debut album,͞Let Me Touch You͟, went to number three R&B and boasted “Lovin’ You,” the number one R&B hit from the summer 1987. In 1984, Eddie saw a proud moments as his sons Gerald and Sean, both still in high school, announced that they wanted to follow their dad’s footsteps and make their way in the music industry. Eddie, using his influence, introduced his young sons around the industry while warning them that dad could help open the doors but it was themselves that would have to make it! And make it they did, as they teamed up with good friend Marc Gordon recording under the group name LeVert with four of their seven albums going platinum. In 1992 Eddie and son Gerald recorded “Baby Hold On to Me” which hit #1 R&B and #37 Pop on the charts. In 1995 Eddie and son Gerald recorded “Fat her & Son” Album with “Already Missing You” hit #7 R&B and #75 Pop on the charts. The album began the very successful ‘Father and Son” tour that continues for years to come. In 1996 Eddie and son Gerald recorded “Wind Beneath My Wings” which hit #30 on the R&B charts. In 1998 The O͛ Jays receive the Rhythm & Blues Foundation’s Pioneer Award presented by Eddie Leverts’ son Gerald at a ceremony in New York. In 2006, upon returning from a very successful South African tour with sons Gerald and Sean, tragedy struck as Eddie’s son Gerald unexpectedly lost his life due to interactions between his prescribed medications. In 2007 Eddie and son Gerald’s album recorded in 2006, “Something To Talk About” was released followed by the publication of the highly anticipated book “I Got Your Back” co-authored by Eddie and son Gerald. In 2008 tragedy struck again as Eddie’s son Sean became a fatality of being denied needed prescription medication by government officials in Ohio. Later that year, while still trying to cope with the lost of both sons, Eddie and his late son Gerald are presented with “Best Duo or Group” Image Award. In 2009, The O’Jays were awarded BET’s Lifetime Achievement Award and Eddie Levert was awarded the ͞Heroes and Legends Pacesetter Award. On January 29, 2011 The O’Jays received the Trumpet Lifetime Achievement Award. Throughout Eddie Levert’s career, the O’Jays have contributed 10 Gold Albums with 9 going Platinum and 10 #1 hits. Currently, Mr. Levert is actively performing and touring the world with the O’Jays well as performing as a solo artist currently touring with Johhny Gill, Keith Sweat and others.. In the Winter of 2011, Eddie Levert, Sr. completed his debut solo CD, Eddie Levert: I Still Have It ͟due to be released Spring of 2012. Mr. Levert is currently busy in the studio working on his next major project; the much anticipated release of the latest O’Jays CD. Throughout Eddie Levert’s career, the O’Jays have contributed 10 Gold. Eddie Levert currently resides in Las Vegas, NV with his wife Raquel and daughter Ryan.